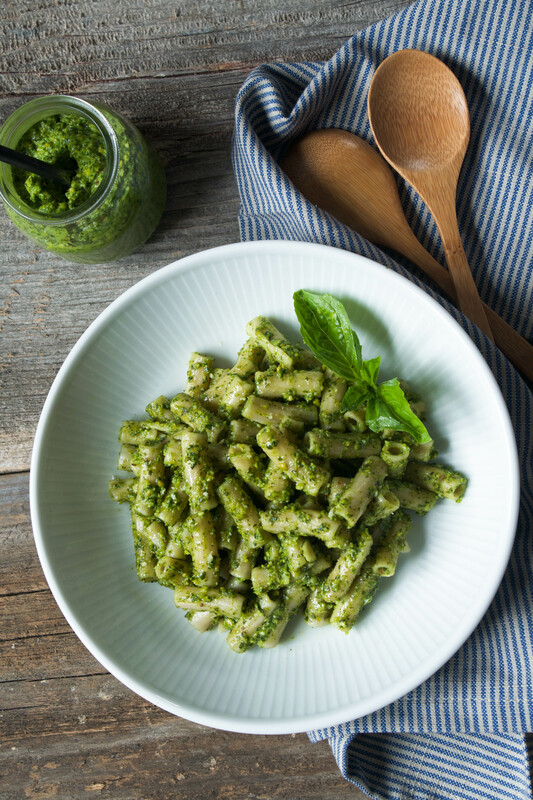 Refreshing, nutty and zesty, this Arugula & Pistachio Basil Pesto is perfect for spring and summer. I’ve been dreaming of sawdust and paint colors this past week since we officially got the keys to our new place. It’s a cute little 2½ bedroom on a quiet street (the ‘burb life, ami right?!). I say two and a half because technically there isn’t a closet in one of the rooms. But I’ve been living in an apartment room, sans closet, for a year, so I count that as a room. However, when your boyfriend is an architect…he knows the technicalities better than you do. I compromised. Within 5 minutes of being in the house, Mr. Destruction had some of the floors torn up and a hole in the ceiling, because you have to know if it’s load bearing, ya know? I was over in the corner trying to disguise my hyperventilating as allergies. I can already see how these next few months will affect my sanity. My favorite part of this 1940’s house is the upstairs attic-turned master. 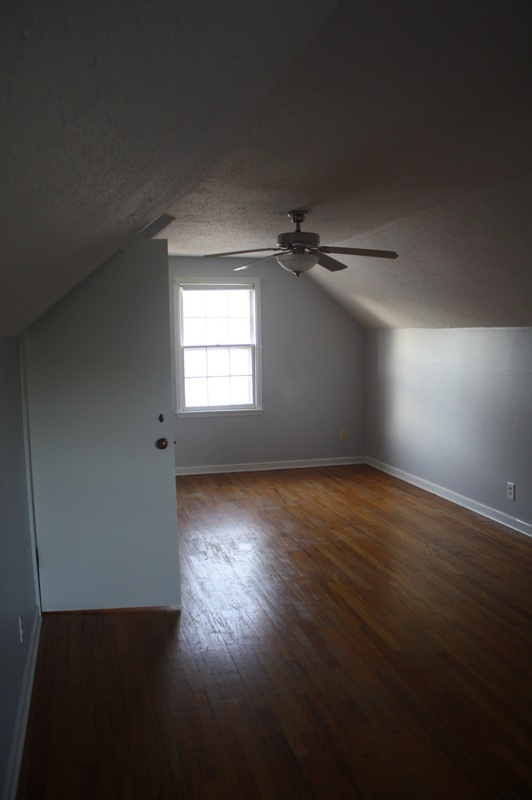 It’s a pretty large space with a walk-in closet that I’ve been waiting my whole life for. I’m not exaggerating when I say every place I’ve lived has had a shoe box-closet — and that’s eight places! If you don’t believe me, ask my mom. Mom? Mom? Bueller? 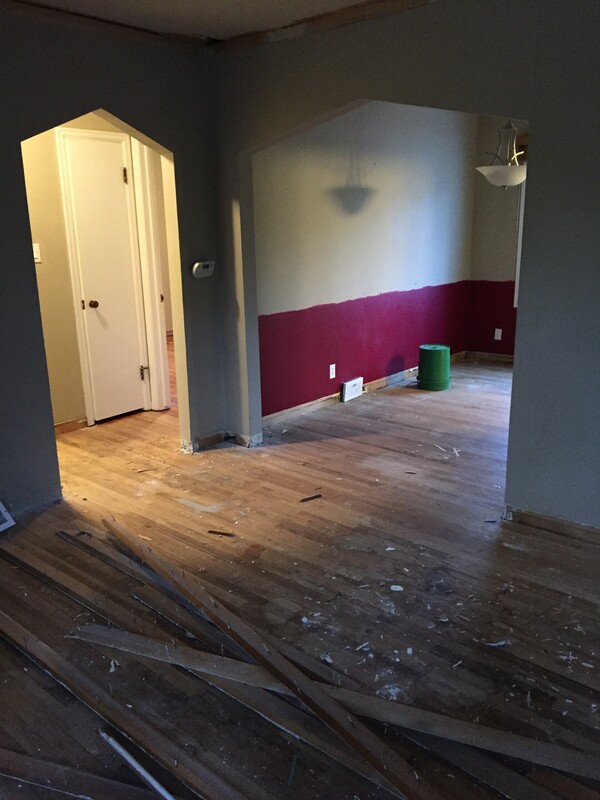 As a toast to Chip & Joanna, we’re planning to brighten up the attic space with a fresh coat of white paint and some shiplap. 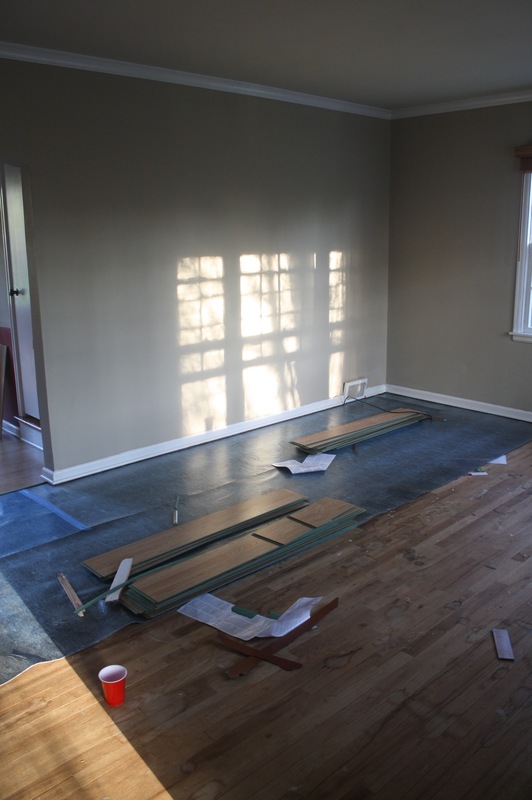 Otherwise, first on the docket is to paint errathing, new floors, baseboards and crown molding, renovating the bathroom completely, opening up the kitchen into the little dining room, and a few other random finishes here and there. We He has a list of things he’d love to update (i.e. add-on photo studio behind the garage), but we’re trying to be realistic. I’ve realized, since we only have a few months before moving in, I really need to up my dinner game. I’m not sure if zoodles or massive salads will qualify as a meal for Greg. But he did mention his love for pesto a while ago. 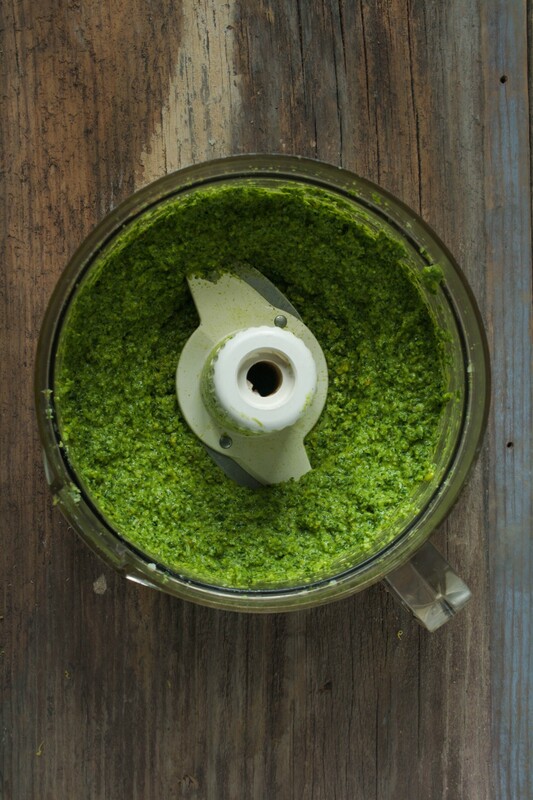 This Pistachio & Arugula Basil Pesto will undoubtedly become commonplace in our refrigerator. I ate off a batch of this for a whole week; I tossed it with brown rice pasta and roasted tomatoes, mixed it with a splash of vinegar for a vinaigrette, and stirred it into some mashed avocado for a pasta/zoodle sauce. 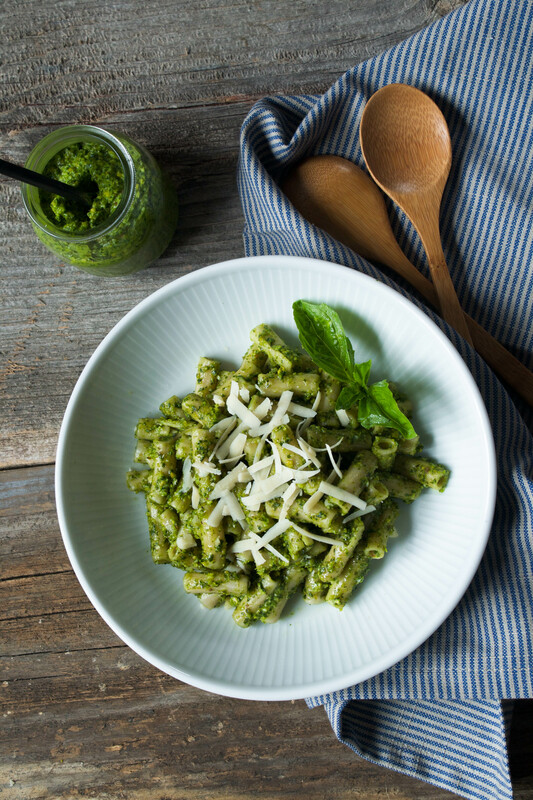 The options really are endless when it comes to pesto, and this Pistachio & Arugula Basil Pesto is no different. It’s nutty, salty, and lemony; darn near addictive. 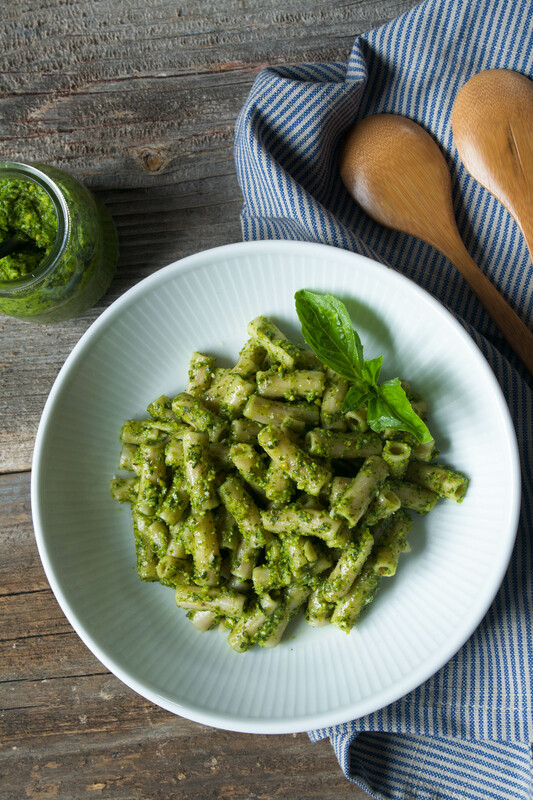 I developed this Arugula & Pistachio Basil Pesto recipe with April’s Recipe ReDux theme in mind: easy ways to reduce food waste. 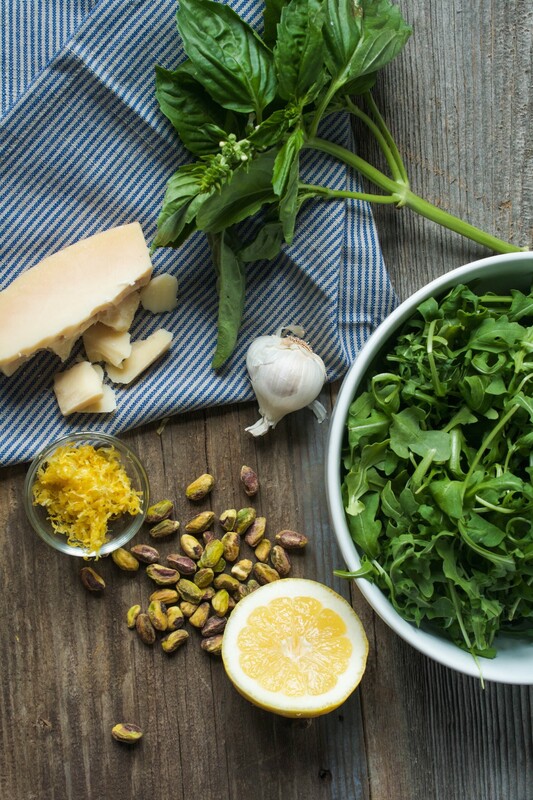 The recipe calls for basil, arugula, and lemon zest. For the basil, instead of using just the leaves, throw in the thick stems as well, they also add flavor! Same goes for the arugula, don’t “stem” those delicate leaves, I don’t usually anyway, but I know people who do. And regarding the lemon zest, I always try to use everything from citrus. If I only need the juice, I’ll zest the fruit first and save it for another use, and visa versa. 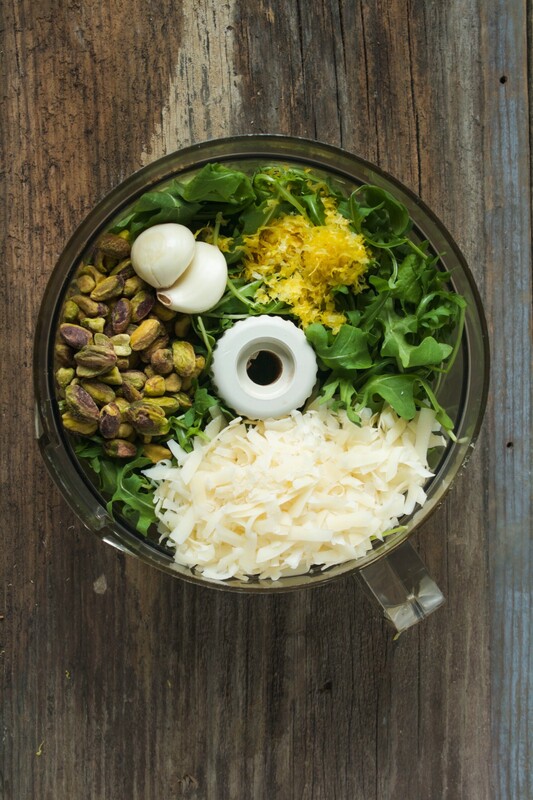 Process arugula, basil, Parmesan, pistachios, garlic, zest, and juice in a food processor until smooth, scraping down sides of bowl as needed. With processor running, add oil in a steady stream until incorporated and smooth; season with salt and pepper. Use as preferred or store in an airtight container for up to a week. 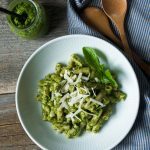 Toss pesto with preferred cooked pasta (I like to use brown rice pasta) plus 2–3 tablespoons pasta cooking water for a saucy consistency. Broil or roast some tomatoes until blistered to serve on the side and garnish with grated parmesan. Mash some avocado until smooth then stir in a few spoonfuls of pesto. Briefly cook spiralized zucchini in a nonstick pan just until tender but still toothsome. Off heat, add avocado-pesto mash and toss to coat. Season with salt and pepper and serve with grated Parmesan. Add about 1 tablespoon white wine vinegar or white balsamic vinegar to 2–3 tablespoons pesto. Whisk to incorporate and thin with additional lemon juice or water to desired consistency. Drizzle over salad. Add a bowl of this pesto to your favorite charcuterie spread. It’s great spread on crackers and bread. Toast thick-sliced good multi-grain bread until golden. Spread some pesto on one side of each slice, top with grated Parmesan and broil until golden brown and bubbly. Serve with soup, salad, or dip in olive oil. I love all of these ideas! 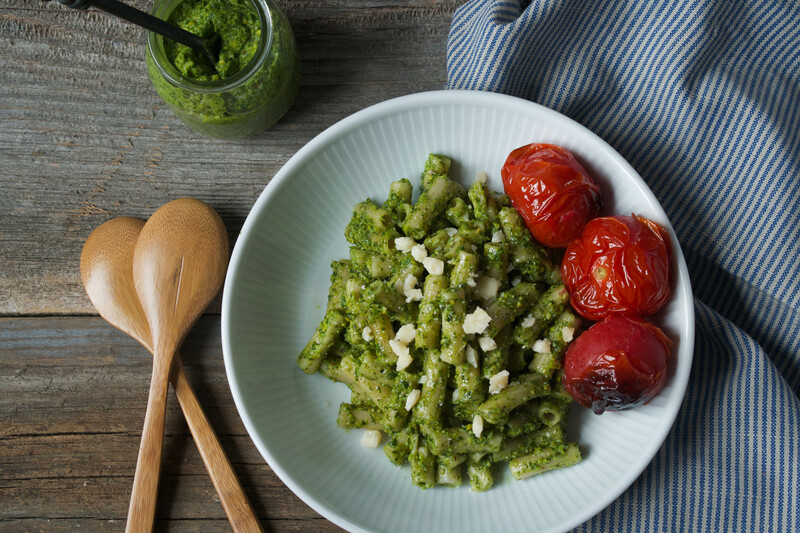 And that pesto sounds amazing! So excited to try this pesto! Not only does using basil stems prevent food waste but it will save lots of time from stemming! Thanks Denise, it totally saves time, just dump and process! I love all different kinds of pesto but never found a good recipe for a pistachio one. Can’t wait to try. Love your new house!! Thanks Mona, it’s quickly become a favorite of mine! 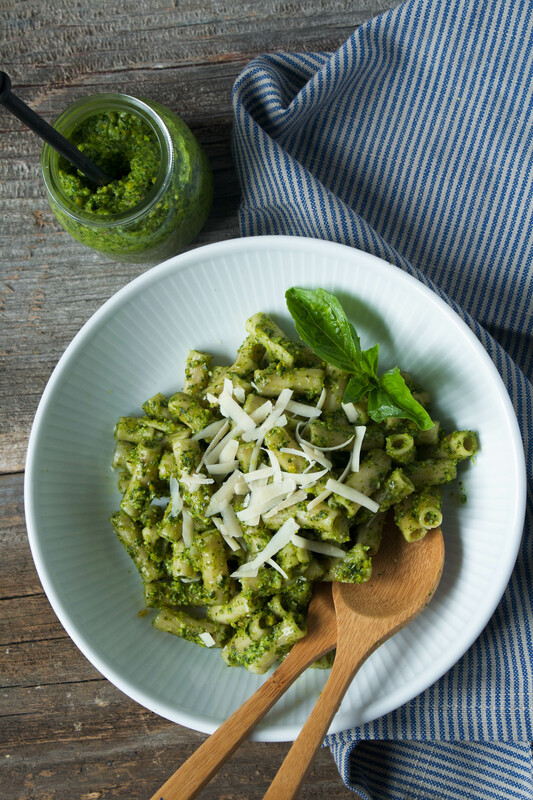 I love pesto and arugula so this sounds like the perfect recipe for me! Your house looks so great, exciting to finally get to move in soon! !